The Ola cab booking app will now let you book Mumbai's classic 'Kaali-Peeli' Taxis in your vicinity without stepping outside. 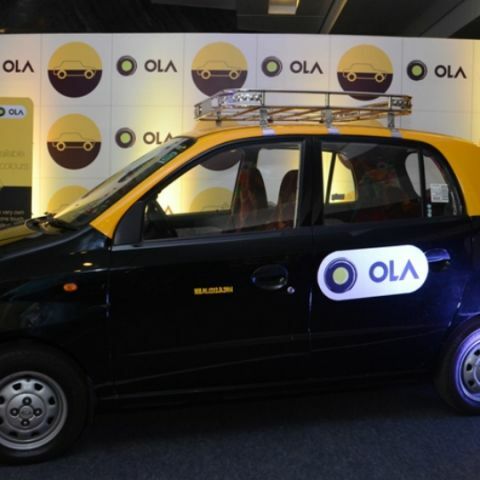 To bridge the gap between customers and taxi drivers, Ola has announced the launch of the Kaali-Peeli taxi booking option in its app for users in Mumbai. The traditional black and yellow taxis of Mumbai, locally popular as Kaali-Peelis, can now be booked for a ride using the Ola app, that acts only as a booking interface. Available for Android, iOS and Windows, the app will show you all the available taxi drivers in your area (currently only South Bombay). With over one lakh local taxis running on the roads of Mumbai, it still becomes difficult for them to get customers and equally difficult for the customers to find a taxi in certain areas. But now, with more than 2,000 Kaali-Peelis registered in Ola in the South Bombay area, customers can book cabs without having to head out looking for one. The registered Kaali Peeli drivers will navigate to the customer, once the ride is booked by the user. Mr. Anand Subramanian, Director – Marketing Communications, Olacabs said that the initiative will make the booking process very convenient for both the customers and the drivers. The event was joined by Bollywood actress Soha Ali Khan, who apparently is a frequent Ola user. She seemed pretty positive on the impact this addition would make on the daily revenue of the drivers and also during emergencies for the users. The app lets you find all the Kaali-Peelis located near you, with options between a Cool Cab and a Kaali-Peeli. Mobile devices have been provided to the Kaali-Peeli cabs that are the same ones seen in a regular Ola cab. When the user chooses a ride and inputs the location, the nearby drivers are alerted about the potential customer. The driver has the freedom to accept the ride. As soon as a driver accepts the request, the customer will get all the details and information about the ride and driver. The payment will be the regular metered fare and the customers can give feedback about their ride in the app as well. Founded in January 2011 by IIT Bombay alumni duo, Bhavish Aggarwal and Ankit Bhati, Ola has over 30,000 cars available across 19 cities in the country and is still expanding. 2,000 taxis around South Bombay have already registered for the new service, and the company aims to touch 20,000 over the next 12 months. This service is under a promotion model, for now, and will not bring in any kind of revenue to Ola. If you have an Android, iOS or Windows phone, you can download the app by searching their respective app stores or by visiting www.ola.bz/b. For smartphones on other platforms, you can visit www.olacabs.com/m which presents an HTML app-like interface. can i get only posters?